Exciting Day on the Water Targeting the Mighty Silver King! 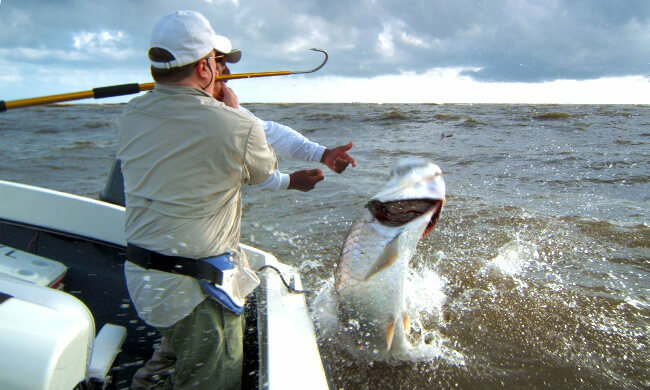 Get ready for an exciting day sportfishing on the water targeting the mighty Silver King (Tarpon). Your guide will pick you up from the hotel and you will start your fishing excursion from there. This day will be spent along the shore line of the Caribbean or in the canals of Tortuguero. You will be using light tackle spinning equipment and conventional tackle as you pursue the species of choice. The boats are coast guard-equipped including GPS, depth Sounders, top-of-the-line reels, and equipment.